In September 2017 we were on Lesvos to support refugees in Greece. We also did some interviews on the Greek island. An Enough is Enough film. 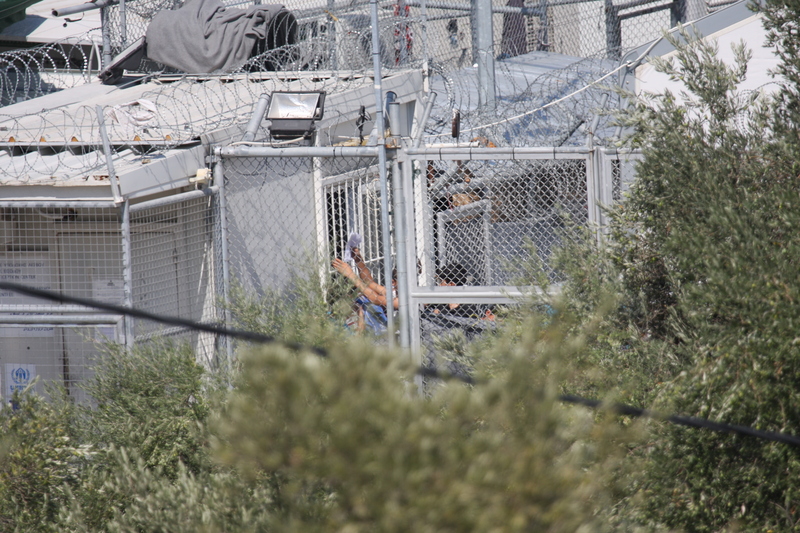 Image: Moria refugee camp on Lesvos, Greece. In September 2017 we were on Lesvos to support refugees in Greece. We also did some interviews on the Greek island. An Enough is Enough film (At the bottom of the page). We documented the situation of people who are stuck on the island since the implementation of the EU Turkey deal. Six people who were seeking refuge and protection in Europe died in Moria last winter, their deaths linked to inhumane winter living conditions. Support the Open the Islands – No More Dead from Cold campaign. We will return to Lesvos to report about the situation of refugees on the Greek island. ground across Europe and even beyond. Therefore we need your support. Help maintain our site and continue our work. On Monday night we returned from Barcelona. But on Wednesday October 18th we will be in Barcelona again. Please continue to support our independent on the ground reports. Its your support that makes it possible. #Catalonia: Welcome to Europe | Enough is Enough! Cars of Hope at #Lesvos: “Despair in Peoples Eyes, Hunger, Broken Shoes, Improvised Tents and Wet Clothes. Welcome to Europe!” | Enough is Enough!